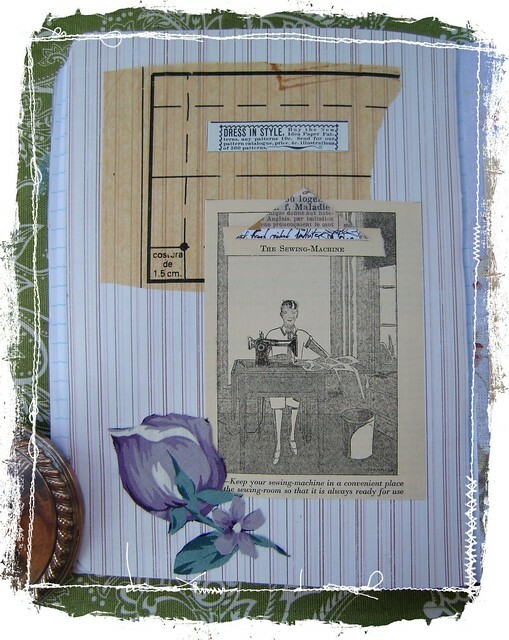 Over the Rainebeau: White Wednesday, Altered Journal and Freebies! for a swap with my Art Party group. so it was great to be able to put them all together in this journal. 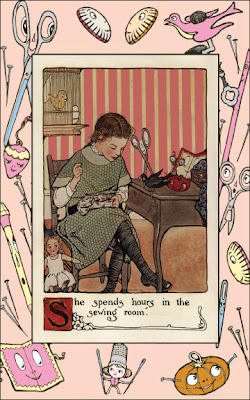 But my favorite resource for pictures and text was a 1927 Butterick sewing book! The big fabric flowers I picked up at a thrift shop, someone must have meant them for appliques because they were ALREADY CUT OUT!! My hands were so happy about that! But the best thing is that my friend Marti was the recipient of the book! White Wednesday for links to more pretty whites! What a fabulous journal to receive, I imagine that Marti was over the moon. Thanks for the wonderful freebies, too. Thanks for visiting my blog and leaving such a nice comment. 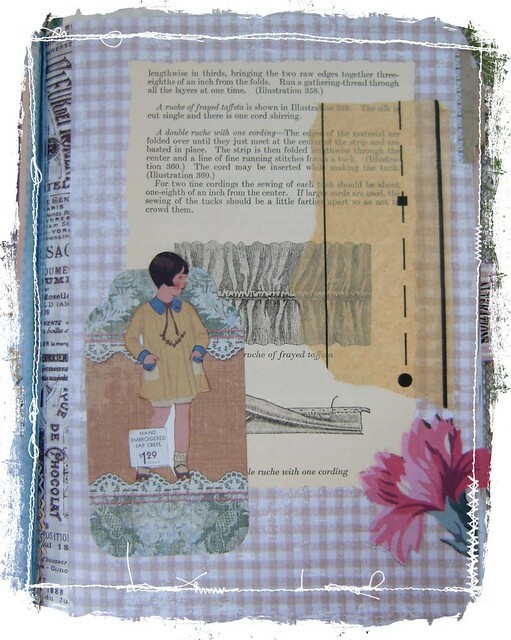 Your altered journal is lovely. I am sure that your swap partner is going to be thrilled with it. Your journal is lovely! Whomever receives it will be thrilled! 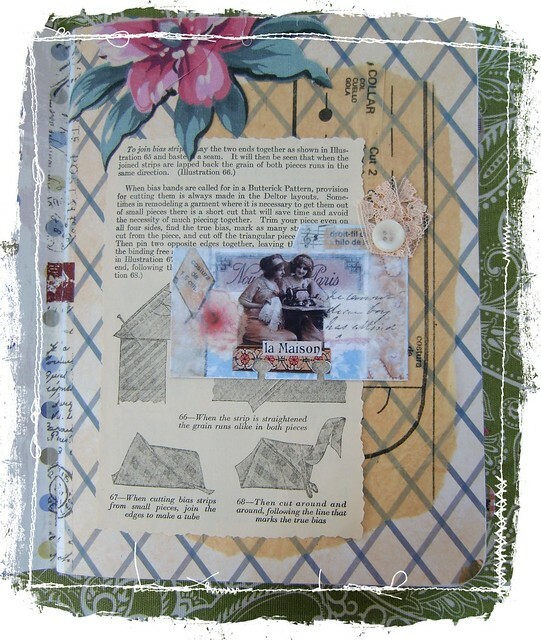 Thanks for stopping by my blog & your sweet comments about my challenge collage. Wowza!!! 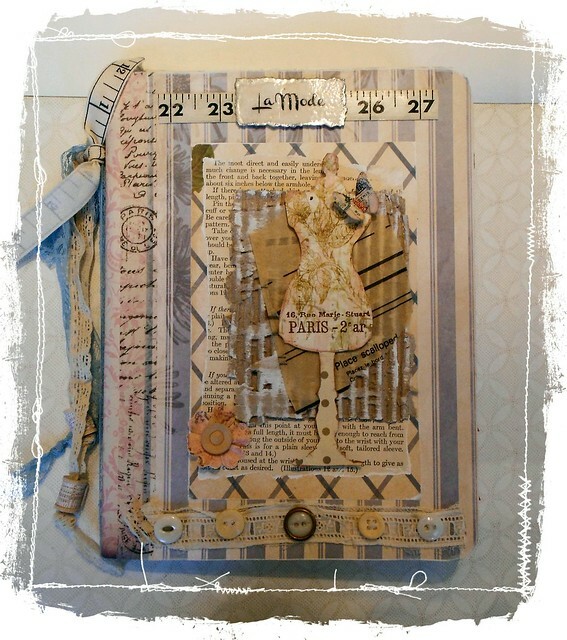 Fabulous journal you've created there! The gal who receives it is one Lucky Ducky. Thanks for the inspiration!!! 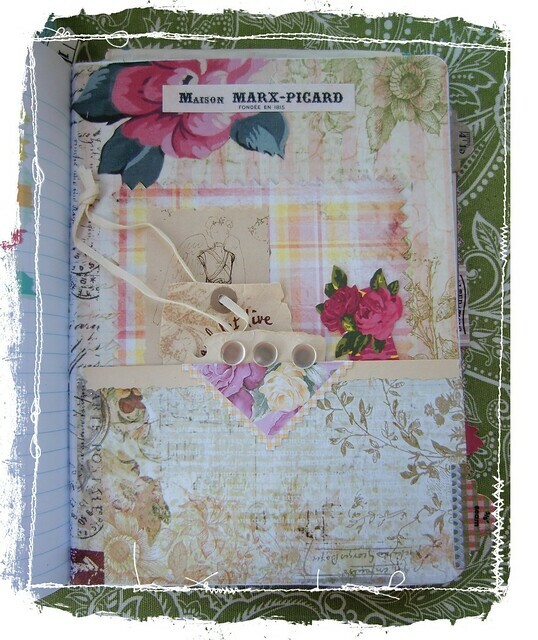 oh my that is one fabulous journal ... love your layout and composition. A piece of art to be treasured. lucky Marti!! she must be very special to you! 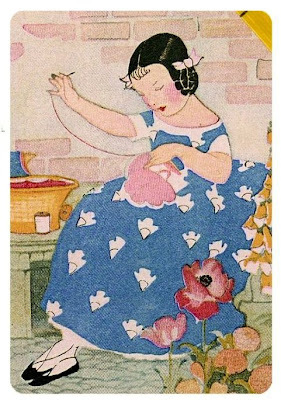 First of all, thank you for visiting The Marmelade Gypsy -- I hope you will return! I certainly know I will return to your beautiful blog -- I love doing paper work also, and I really admire your stunning journal as well as some of the things I've noted looking down the page! You are so creative! Love your etsy place too! I enjoyed my visit, Lorraine. This is Stunning Lorraine! Marti will be so Thrilled! Your Work is Always so Lovely! Have a Happy Monday My Friend! 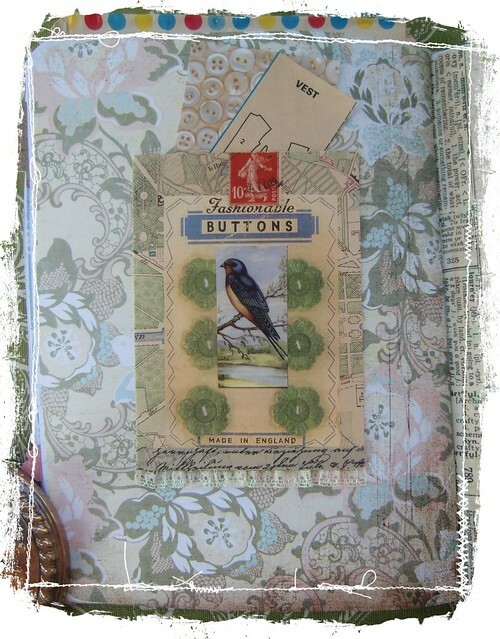 This is such a gorgeous fabric journal Loraine. Thank you for the free images too!